Help us out by switching your power supplier to ENH Power. Are you getting too many mailers? Mailers can be frustrating, especially if they come too frequently. If you receive too many mailers from us and would like to change that, you may visit JoinFriendsOfTheArmy.org and enter code NNE. 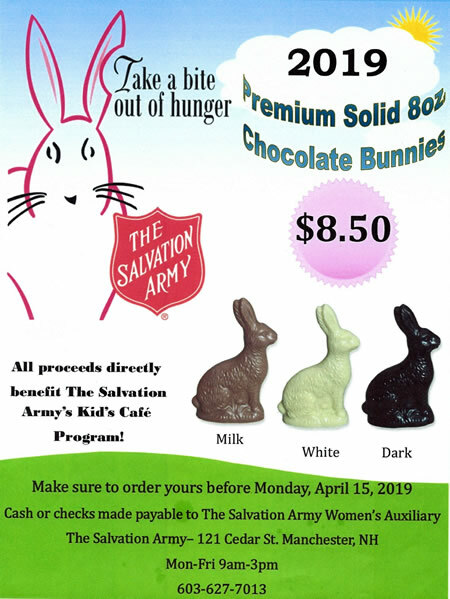 Friends of The Army puts you in charge of your giving. 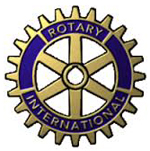 Sign up to donate what you want, when you want. The choice is yours! Your gifts will be conveniently and automatically charged to your credit card at the frequency you choose, which reduces our costs and allows us to use your donations to help more struggling people. Thank you for helping our hurting neighbors. With each gift, you’ll know that a struggling family found food, safe shelter, or even a chance to get back on their feet because of your kindness. 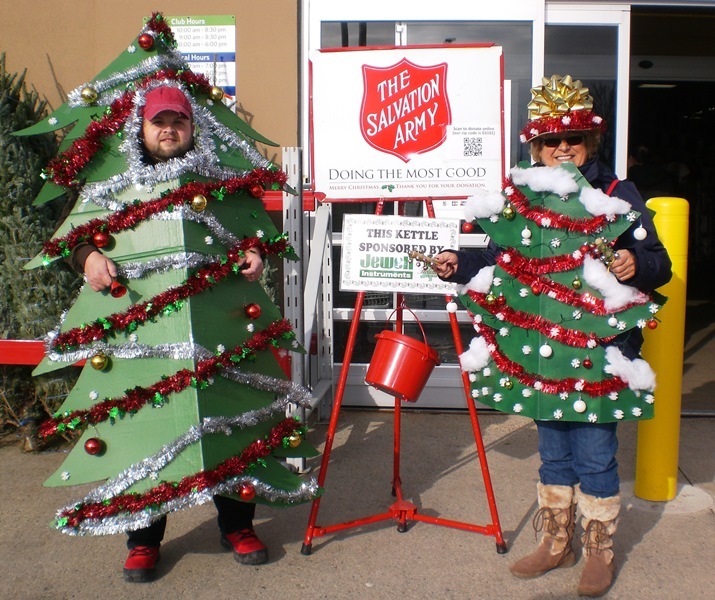 Volunteers Phyllis and Rich from Jewell Instruments dressed for the occasion as they rang the bell at Sam's Club. Back in September at the Manchester Union Leader. Over 600 motorcycles and each one carried a new toy for a child! Also many of our staff set up, cooked and served them all hamburgers and hotdogs. What a great team! Nothing can keep Santa Claus, and several thousand of his motor-revving brethren of the New Hampshire Motorcyclists' Rights Organization, from delivering a little Christmas spirit to the needy children of Manchester, Litchfield and Bedford. Thousands of leather-clad bikers from across the state lug toy cars, stuffed bears and all sorts of other goodies to the Union Leaders' parking lot, where our volunteers await their donations. The event brings in tens of thousands of dollars' worth of toys; which we will distribute to needy children for Christmas morning. Salvation Army of Manchester, NH receiving a check for $5,000 for the Kid's Cafe from Daniel O'Connor, Senior Vice President of Wells Fargo, Northern New England Middle Market Commercial Banking. Thanks to Wells Fargo for taking so much interest in and supporting our community! 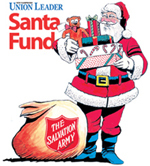 And, of course, we thank everyone who contributes faithfully to the Union Leader Santa Fund.